The International Institute is the home base of the UCLA's oldest continuously operated precollegiate outreach program. Launched in the mid-1970s with funds from the U.S. Department of Education, the K-12 outreach enterprise at the UCLA International Institute now consists of 10 professional development and training programs annually, along with projects at school sites, resource development, and other collaborative efforts promoted by the Institute and its National Resources Centers on Africa, Asia, Europe and Eurasia, Latin America, and the Middle East. Our mission is to expand the knowledge base of teachers and to provide them and their students with critical access to academic perspectives and educational resources in international studies. These objectives relate directly to a priority of meeting the national need for experts on vital global regions, and to the Institute's goal of fostering global citizenship. A three-day summer program for high school teachers, July 29-31, 2013. 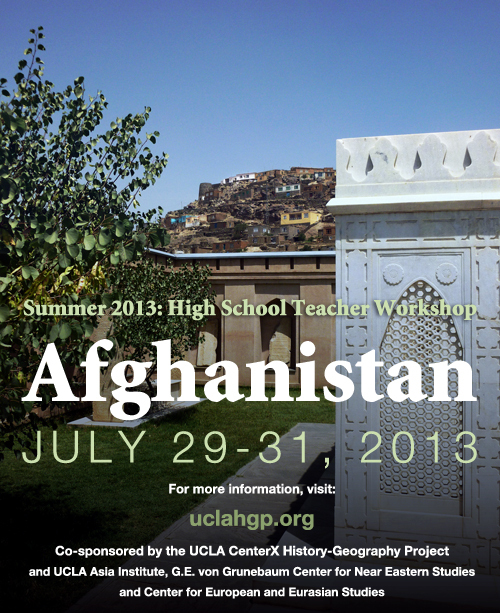 This workshop, to be held July 22-26, 2013 on the UCLA campus, is designed for heritage language teachers of Arabic, Chinese, Hindi, Portuguese, Russian, Swahili, Turkish and Urdu. It will help teachers understand the differences between teaching L2 and HL learners, the issues involved in heritage language teaching, and how to address them.